It appears the setup of your third generation Apple TV has gotten a lot easier, as Apple has updated its support document for the device to indicate users can now ‘touch’ their iOS 7 devices to the unit to initiate easy setup (via TUAW). 1. 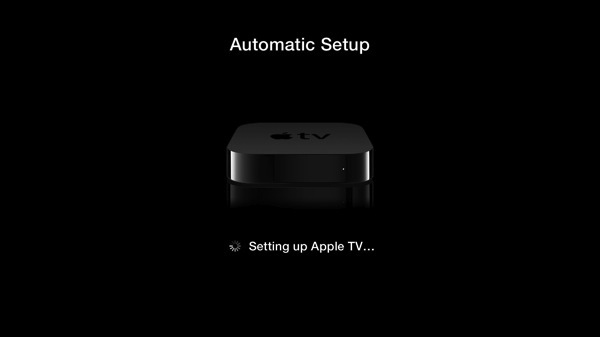 Connect your Apple TV 3 (it should be running firmware 6.0) to your television. Make sure your iOS device is connected to the same Wi-Fi network and Bluetooth is enabled (and device is showing the home screen). 2. Physically touch your iOS device to the Apple TV–a prompt should appear. 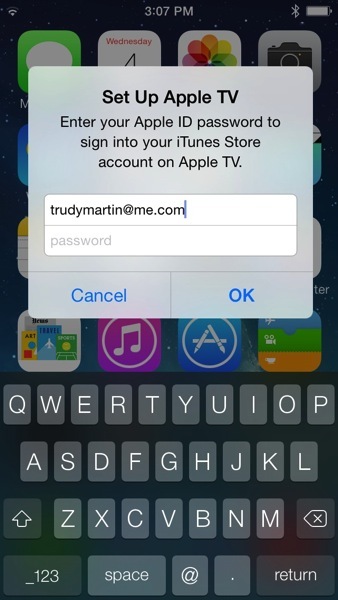 Enter your Apple ID and password on your iOS device. 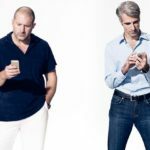 You’ll be asked if you want your password remembered and also if you want to ‘Send Data to Apple’ to improve products. 3. 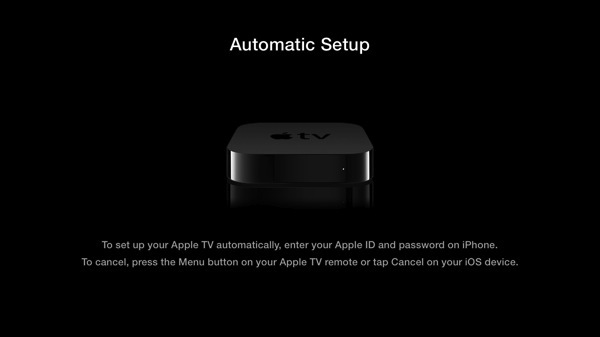 Your Apple TV will start configuring itself by connecting to your Wi-Fi network, activating the Apple TV and setting up your iTunes account. The setup should complete itself, after that–DONE! 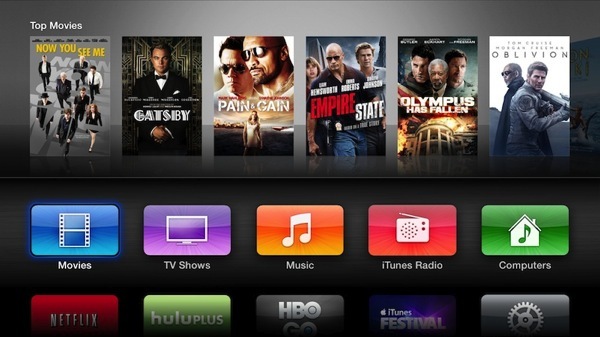 This new method to setup Apple TV shows how the company has been able to use Bluetooth LE in a clever way to make life easier for consumers.